hen you’re shooting a scene there are a lot of choices to be made about what’s in the audience’s focus. If you want them to see everything, then you need to use a deep focus shot. Today we’re going to go over the deep focus shot, deep space mise-en-scene, and see why these camera angles should definitely be part of your shot list. What is deep focus cinematography? How to shot list deep focus shots? Deep focus cinematography is a kind of Camera Angle that allows the Cinematographer to keep everything in perspective without favoring foreground, mid-ground, or background. Everything is lit and visible. Opposite: The opposite of deep focus is shallow focus. Mise-en-scene: Deep focus shots need to be accentuated by the mise-en-scene so that the characters, and their surroundings, pop. This is a deep focus shot with deep space composition from Maze Runner: The Death Cure (2018). So, you think you want to shoot your next scene in deep focus? What do you do now? You need to put your deep focus shot on a shot list so your DP can anticipate and prep with the set decorator to make sure everything pops. Plus, you may want to make sure props knows what will be used in the scene. 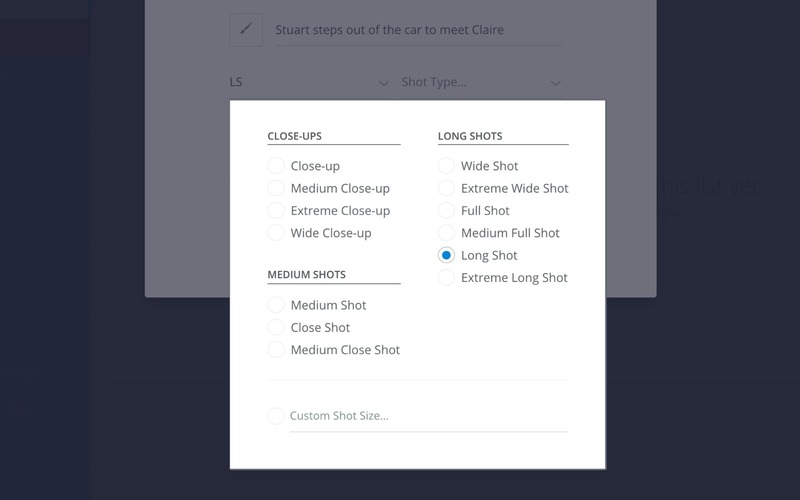 Add deep focus shots and storyboards to your shot list. Specific camera movements matter too. Will your deep focus shot be static, or will you follow your subjects with a Steadicam? Will you use a wide angle or can it be done in a medium? Your signature deep focus shot is only a click away. For example, can you use your deep focus shot in combination with deep space mise-en-scene? A film utilizes deep space, when significant elements of an image are positioned both near to and distant from the camera. A deep space film shot utilizes deep space when the subjects of an image are positioned both close to and far away from the camera. Opposite: The opposite of deep space is shallow space. Technical aspects: Deep space shots do not have to be in focus, but they do have to show the breadth of scale. So wide shots are often used to promote deep space shots. This deep focus film shot frames Wonder Woman (2017). While not all subjects have to be in focus, all of them have to be in frame and lit visibly. Deep space is achieved when the mise-en-scene is carried deep into the frame. Actors and objects are placed in particular places to draw the eyes in every direction. The deep focus shot utilizes this space. The lighting in this scene favors all of the elements of the scene. You’re able to search for emotional depth and story elements in each character’s placement throughout the frame. Deep space composition and the deep focus shot first came to prominence in Classical Hollywood Cinema. They had early origins in the Stage and Stage dressing. In Classical Hollywood, shot length tended to be longer so there was more opportunity to establish a deep focus shot with deep space composition. In modern Hollywood, shot length is short and editing is fast. It’s easiest to pick out deep focus shots and deep space composition because the frames usually tell multiple stories. Check out this deep focus shot from All The President’s Men. The subtle deep focus meaning here is a secret exclusive. All The President's Men (1975). The story here is the scoop Redford is getting, but it’s also what’s happening in the back left. The meeting that’s going on without him. It makes this office feel busy, but also makes what he’s doing feel exclusive. Let’s take a look at the Classical Hollywood film known for showcasing deep focus shots and deep space throughout the narrative. I’m talking about Citizen Kane. Sometime moments after you find out “movies” exist, someone is going to tell you about Citizen Kane. Kane came about during a cinematic revolution. Movies were just starting to mean something and technology was catching up to ideas directors had in their heads. Cinematographer Gregg Tolland and Director Orson Welles did not invent deep focus shots, but they decided it would be a great theme for the movie. Deep focus could help isolate Charles Foster Kane from the time he was a boy until he became an old man. This deep focus camera work is impressive. As he advanced in life, deep focus could show how far away he pushed people. As Kane becomes more and more self-centered, we can see how his soul has become corrupted. His selfishness is accentuated with the use of deep focus and the deep space composition with the wall-length mirrors. Deep focus shot showing self-absorption. Citizen Kane is the paradigm, but what about movies today? Sure, shots and editing have changed, but deep focus can still affect modern Hollywood. Deep focus shot examples occur in every era of filmmaking. George Romero utilized deep focus to frame the Zombie onslaught in Night Of the Living Dead. This is deep focus cinema at its finest. Night of the Living Dead (1968). 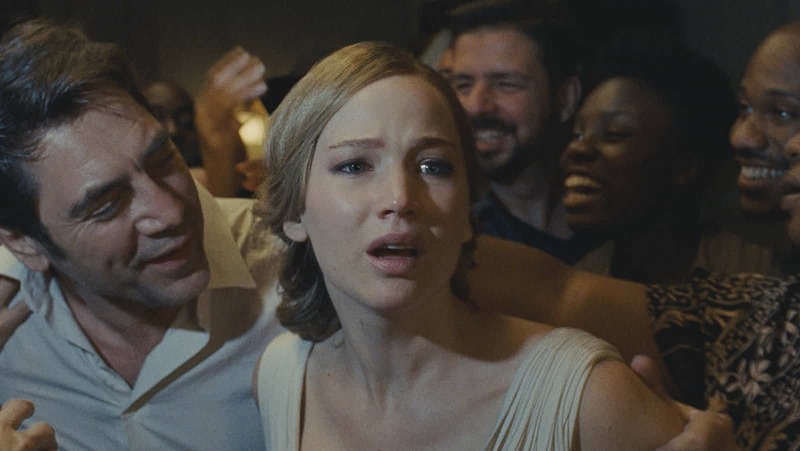 And Darren Aronofsky utilizes the deep focus shot in Mother! to show the fanatics ready to tear Jennifer Lawrence’s character apart. Deep focus example from a master. Mother! (2018). The Coen’s apply deep focus here to show that Chigurh is operating in isolation. We know the victim has nowhere to go. We know the bag guy is going to get away easily. No Country For Old Men uses deep focus and deep space to create a vast chase movie. What about an ultramodern film? Tangerine was directed by Sean Baker and shot entirely on an iPhone. He uses the iPhone’s settings to shoot deep focus and frame this portrait of Los Angeles usually not seen. It’s a creative way to blend in the safety of the Donut shop and the danger of working the street in front of the place. Tangerine (2015). Deep focus cinematography on an iPhone. So, now you know about deep focus cinematography, we have lots of other creative cameras for you. When you’re directing or DP’ing your next project, we’d love to see you think outside the box and use some pro-tips no one told you about in school.